I was born in Yugoslavia in a small town called Jablanica. Jablanica is a small but important place in a narrow valley of the river Neretva, in the middle of Herzegovina’s rocks, through which caravans passed for centuries. In times of peace as well as armies in times of war, it was a place where civilizations met and replaced one another. The town of Jablanica lies on the emerald green river Neretva, trapped between the beautiful mountains Cvrsnica and Prenj, opening into a rocky canyon about 30 miles long. Jablanica is well known worldwide. During Austro-Hungarian rule in Bosnia and Herzegovina it was a health spa where people loved to go to rest and heal. During the Second World War, it was the site of one of the most humble and humane battles (“The Battle for the Wounded”) not only in this war but in the entire history of wars. It took place from January to March 1943 in order to protect the disembarkation of the Allies and to “break” Tito's state. After the Second World War Jablanica got a hydroelectric power plant and an artificial lake, commercial and catering companies, the granite industry, new school buildings, infrastructure, etc. Jablanica was and remains a crossroads of the roads of the north, south, east and west of Bosnia and Herzegovina. I grew up in Jablanica and finished elementary school there. My first poetry book was published in 1971. Since then I have published 25 books in the Serbo-Croatian language and 7 books in the English language. Some of my poems have been translated into Korean, Spanish, Italian, Slovenian and German, and some have been represented in more than 20 anthologies in different countries. I also wrote a book with Serbian poet Vesna Kerecki Sarac, which was published in Belgrade in 2016. Yes, it is. But here we must add love as a very important segment of life, because Love + Love= Love (this is the formula). Poets, writers and all artists have a duty to help people to build their own morality, honesty, humanity and all of kinds of beauty in life, to proclaim love and to help people to love each other. Without all this life would not have the right meaning. Poems writing in native language and in English in many magazines, newspapers and radio stations in EX YU? My mother tongue is Serbo-Croatian. Long ago I used to speak German and Russian, but I lost both. I spoke Slovenian very well 23 years ago when I lived in Ljubljana but I lost that too. In 1995 I moved to Canada and began studying English. In 2005 I wrote my first 30 poems in English and translated 30 by myself. Since then, sometimes I write in English and sometimes in Serbo-Croatian, depending on the topic and inspiration. 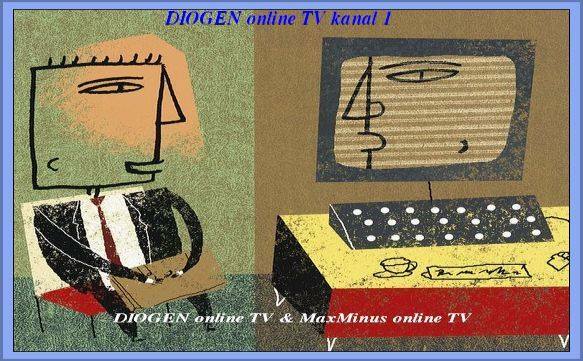 In Yugoslavia, my poems were published in many magazines and newspapers, such as “Oko,” “Lica,” “Rijeci,” “Most,” “Oslobodjenje,” “Mladost,” “Prosvjetni list,” etc., as well as on radio stations in Sarajevo, Beograd, Doboj, Bosanski Brod, Slavonski Brod and Sisak. My poems have been published on several portals and online magazines and in many poetry groups, as well as in several newspapers in English. Worked as an economist and journalist, also books and newspapers editor, and marketing director? I have technician, economist and journalist diplomas. In former Yugoslavia I worked in several cities in different companies. As a high school student, I worked during the summer in construction, helping builders and architects, and also as a mailman. In some companies, I worked different economist jobs such as marketing director. For more than 12 years I worked as a journalist in different newspapers and radio stations doing editing, graphic design, proofreading, etc. I was Editor-in Chief of a newspaper and for a couple of books, and for many years I was the honorary reporter for several papers. I had my own poetry column in the local paper and on the local radio show. In the game in view, in the fantasy of colors do you make it to that domain so that you can watch the multi-time and enjoy your pictures? Writing is a game with words as painting is a game with colours. You must know how to play with words and with colours; this is not easy. But you learn to write by writing and you learn to paint by painting. Practice is the best teacher. Sure, you have to read a lot, but this is the only way to do a good job. Everything I did and do in poetry is rich with pictures, emotions and different colours; I read often and enjoy it. The same is with my painting: I love and enjoy my work and often sit in front of some paintings and look at them, thinking about whether I missed something. My work must make me happy. When I write, if I’m not happy with it, I keep working on it until I’m satisfied. Usually I work on a book for about 5 years before I look for a publisher. Where do you find inspiration and whose artistic work do you enjoy most? I find inspiration for my poems, pictures and sculptures in my life and in other people’s lives. I have been blessed in my life to have good eyes, a clear mind and the ability to see things around me and think about them in a positive way. My poetry, painting and sculptures are about people’s lives: love, peace, happiness, social security, history, geography, prosperity, life, death, the future, politics. I enjoy writing about small things people don’t think much about or not at all. With painting, I enjoy painting nature with 3 basic elements: sky, stone and water. I love reading classic poets and writers, as well as looking at the paintings and sculptures of classical masters. Is there anything that connects poetry and painting? How do you see them together? Yes. Connections between poetry and painting exist. When you read my poetry, every good painter can paint a beautiful painting from it. Similarly, when you look at my paintings, you can write a poem based on them. In other words, many of my poems are pictures in words, and some of my paintings are words in colour. Could you tell us something about the beautiful sculptures and motif? Believes in the randomness and richness of life, and that every day is a possible adventure? I don’t believe in randomness. In our lives, everything happens for a reason that we don’t know. Our lives are rich as much as we give them wealth in every possible direction. Each of us is its chef. If we do more for ourselves, we will have a richer and more beautiful life. True, there are circumstances that we cannot influence, but we must know how to deal with them. You need to know which traps not to hit. Life is an adventure, starting with our birth and ending with our death. Between that we have to fill every day with different things and make it good or bad. And those good and bad things belong only to us and nobody else. Personally, I have lived day by day for the last 10 years. Every day is some kind of adventure. I never know what a particular day will bring me and I don’t worry. I just live with all that I have and breathe with my lungs as if it were my last day. I never write or paint for money. I do it because it makes me happier and healthier. 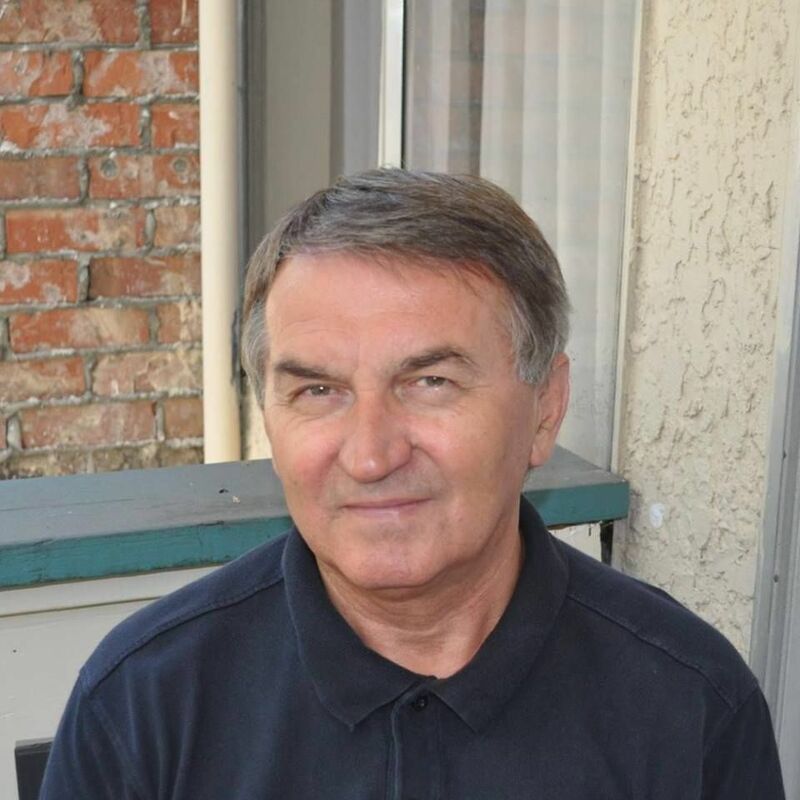 I have published 25 books in Serbo-Croatian, 7 in English, one book with another author, and have produced 130 sculptures and around 200 oil and acrylic paintings. I have read and continue to read my poetry at many poetry events and festivals, and continue to exhibit my paintings and sculptures in Slovenia and Canada. I probably haven’t been very productive in my 69 years of life, but I think it’s enough combined with my regular job and some other activities in the city. - Several awards in India, 2016. I traveled to Europe, Africa, and India and this November I’ll be going to Morocco to attend a Poetry festival. I have met many poets, writers and artists. I love to travel around the globe. It makes me happy, gives me the chance to take photos in different areas and gives me new inspiration for life and writing. Traveling is an opportunity to meet new people, make new friendships and learn about different cultures. I have many friends around the world and this makes me a very rich man. I am a modest man. I have not really expected much from life. Life is not predictable and why should something be expected if I know in advance that I cannot afford it? I think that I have accomplished everything according to what was possible for me. Dreams are often only dreams and they are beautiful only if they are realized. Otherwise, they are disappointing. I do not dream and do not plan anything in advance if it's not realistic. I always put in a ratio of desire and possibilities and then decide on what to do. I'm trying to be realistic and I mostly succeed in that. So far, I have published 2 poetry books, one book of aphorisms, one book of short stories, one novel, and have written one unfinished novel. I will continue to write my new novel, look for a publisher for my first novel in English, make several exhibitions of my art in Vancouver, continue to write poetry, continue to paint and take photos around the globe. A man can never achieve all that he wishes. When I was a boy, I dreamed of a lot of things. I had dreams as a youth too. Very little of this happened. My life was very tough. I learned how to walk on thorns and get stabbed as little as possible. I walked and stood up and continued without big plans and wishes. I lived day by day and responded to everything that day gave me. I learned that we cannot make a life for ourselves from the past nor from the future because the past is over and the future is unpredictable. The only reality is the present; this is today and we should live it as it is with all its celebrations and traumas. It is completely ours and no one can take it from us. If I could live my life again, I would like to be a poet, novelist, painter, sculptor and photographer. It refines the soul and makes life much more beautiful and more interesting. Is there anything you would like to say that you think is important and that I haven’t asked you ? I think everything is here. Dear Tatjana, thank you very much for this opportunity. I hope you will find time to send me information about publishing this. It was my pleasure talking with you. Peace, Love, Happiness, Joy. 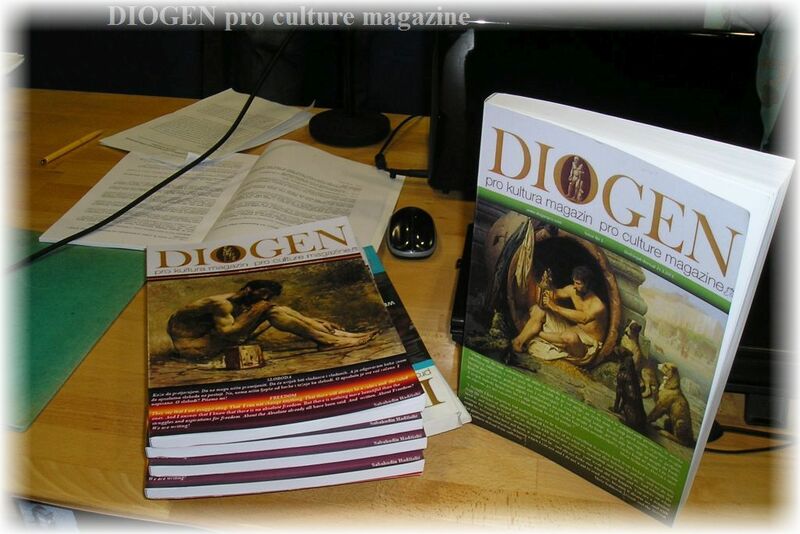 It was a great pleasure talking to you and you are always welcome to our house "Diogen pro kultura” magazine for art, culture, education and science. Ibrahim Honjo was born on April 16, 1948 in the former Yugoslavia (Bosnia and Herzegovina). Since January 1995 he has lived in Canada. 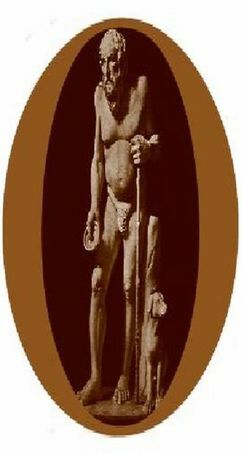 Honjo is a poet-writer, sculptor, painter, photographer, and property manager who writes in his native language and in English. His work has appeared in many magazines, newspapers, and on radio stations in Yugoslavia where he worked as an economist and journalist. He was also a book editor; newspapers editor; marketing director; and organizer of many poetry events and festivals. His poems have also been published in several magazines and radio stations in Canada and USA. He is the author of 25 published books and one book with another author. His work is represented in more than 20 anthologies. Some his poems have been translated into: Italian, Spanish, Korean, Slovenian and German. - Reckoning 2007, an appraisal of BC writing & publishing, Vancouver, Canada. - Denman car free festival Vancouver 3x.